One of the accusations against Steve Goss in the Dan Soucek e-mail smear (printed in its entirety down-column) is that Senator Goss was "caught" billing his campaign $19,000 for mileage. The implication is that Mr. Goss did something criminal and, further, that he could not possibly have driven that much around his district. Sen. Goss admitted that he had incorrectly filed for reimbursement in 2009 for campaign travel going back to 2006, because under N.C. rules he was supposed to claim the mileage reimbursement "when the expense is incurred." He made a mistake. But he did the travel. Here's his travel log going back to 2006. The Dan Soucek e-mail smear isn't interested in these facts, of course. It's interested in wringing out innuendo, which is certainly the Christian thing to do in the alternative, holier-than-thou Universe of the Perverted Jesus inhabited by Mr. Soucek and his allies in the NC Republican Party. Fact is, Sen. Goss has traveled more than 75,000 miles in his service to the 45th Dist. Yes. (Stuff that in your pipe, Mr. Soucek!) Sen. Goss has traveled and spoken and listened and helped solve problems and consulted with voters like no other senator in the N.C. General Assembly. He's arguably the hardest working member of that body. Which sort of begs the question of Mr. Soucek, who wants to mock such hard work rather than acknowledge it as a virtue: "Just how much time are you going to be able to spend serving the people of the 45th Dist., Mr. Soucek, should we be unlucky enough to be saddled with your more than enlightened leadership?" How many miles are you willing to drive on your own (or anyone else's) dime, for a job that pays exactly $13,951 per annum? I'm wondering whether Mr. Soucek is going to run the state the way he's run his campaign - in the red, as of his last quarter's campaign finance report! I like Mr Soucek's view on the 2nd Amendment and illegal immigration. He understands, like SCOTUS did today, that the 2nd Amendment is an individual right that states and localities cannot touch. On the immigration side of things, Mr. Soucek believes that an orderly, legal process is an achievable goal. I attended a meet and greet with Soucek, and he is articulate and able to explain the whys and hows. Hum, Dog Tom. I also met Mr. Soucek and came away thinking he is way over his head. I seem to remember Sen. Goss doing pretty well on the 2nd Amendment - including stopping a bill in the state Senate that proposed banning anyone from buying a gun who had ever been to a mental health clinic FOR ANY REASON (meaning, if you went for family counseling because your teenager was acting out, for example). Our Commander in Chief is in way over his head at this moment. 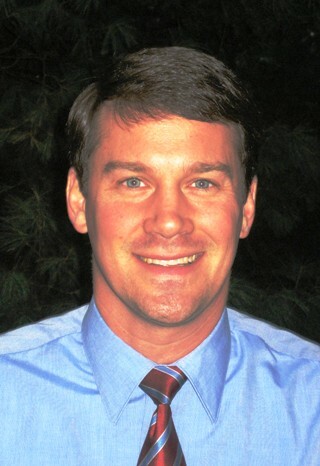 Mr. Soucek is a newcomer, no doubt, but I believe he is bright enough and articulate enough for the NC Senate. Steve Goss is absolutely the hardest wroking politician & one of the most caring as far as the needs of the people. Don't know much about Soucek, but if I was going to run against somebody, it wouldn't be someone who is already doing a great job! An Upside to the 2nd Primary? What Kind of a Christian Is Dan Soucek?